As the number one form of payment in the United States checks account for more than $60 billion spent annually and over half of all the non-cash payment made at the point or sales, therefore, Electronic Check Conversion is a necessity for successful merchants. With Electronic Check Conversion funds are deposited directly into the merchant’s bank account more cost effectively than accepting credit cards while providing a reliable and safe payment option to the check-writer and eliminating the hassle of returned checks and or bank fees for the merchant. With Remote Check Deposit funds are deposited directly into the merchant’s bank account if scanned at their location and sent before 8 pm. Funds will be there the next day. Very affordable and great for increasing cash flow for businesses too busy to get to the bank. Never worry about a bounced check again. Converting checks cost less than processing credit cards and will be deposited right into your account just like your credit card processing funds. 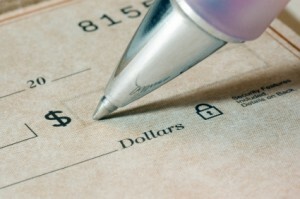 For more information about our check processing programs click here or call or write us today.